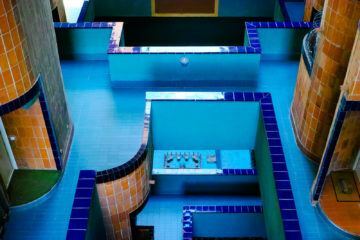 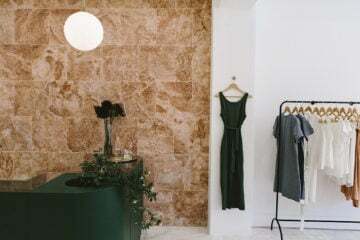 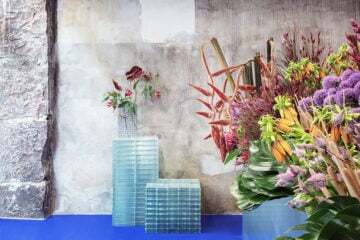 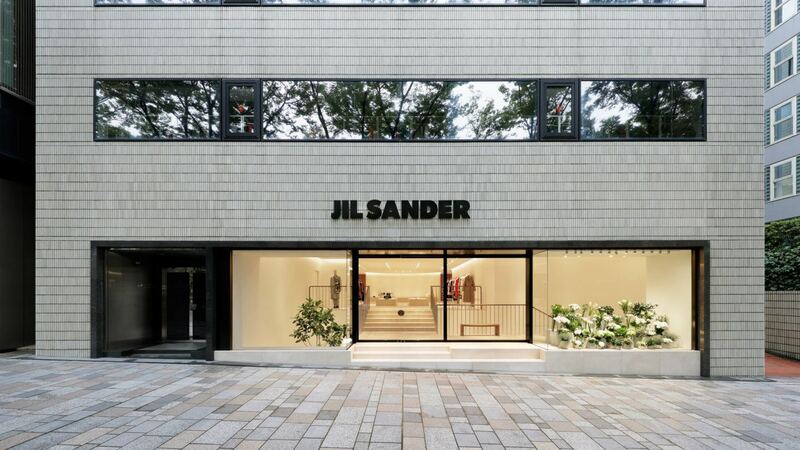 Situated in the trendy shopping district of Omotesando, Tokyo, is the brand new flagship store of German fashion designer Jil Sander. 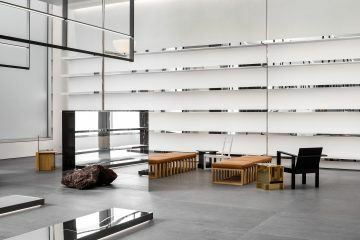 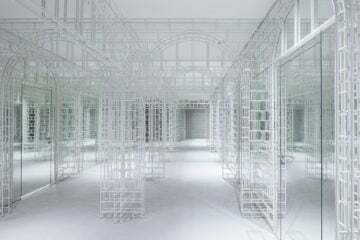 The minimalist interior was designed by British architect John Pawson, in collaboration with co-creative directors Luke and Lucie Meier. 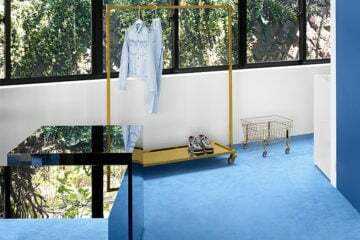 Unlike the ‘more is more’ ethos that has permeated the current fashion climate, Jil Sander’s interior is very minimally furnished—an intended decision to let the garments stand out on their own. 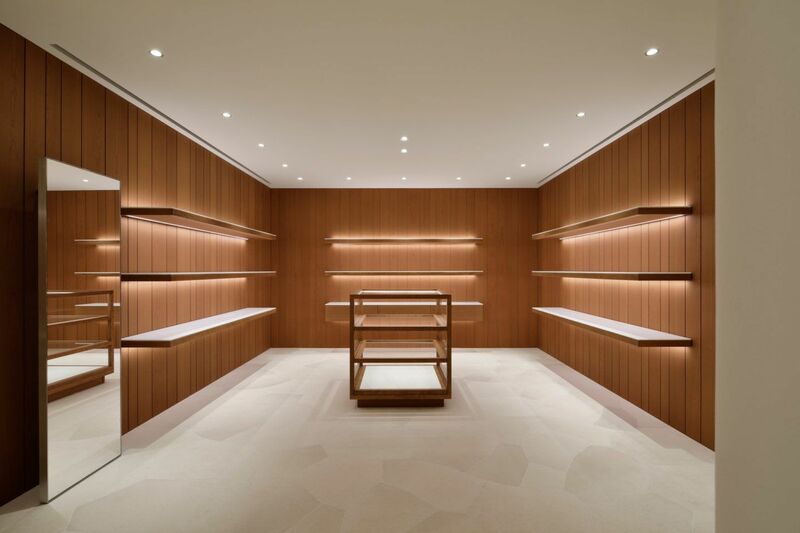 Pawson has paired pale limestone walls and floors interspersed with cherry wood features on some cabinets and walls. 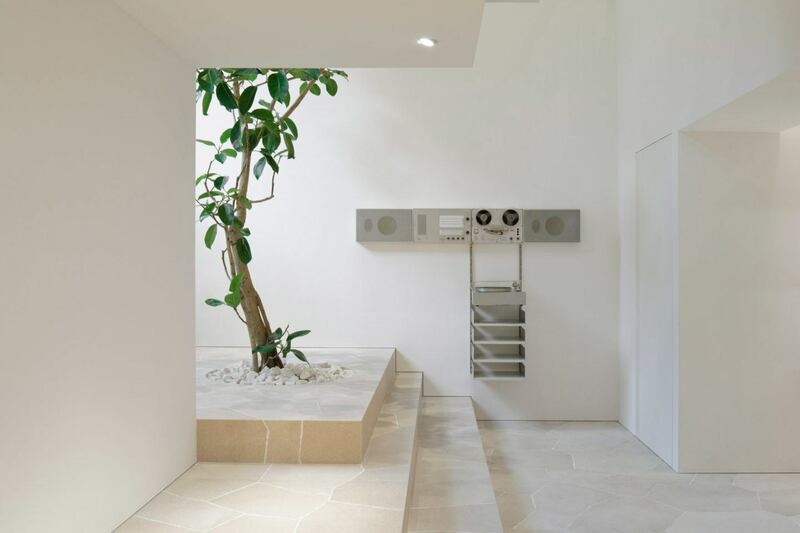 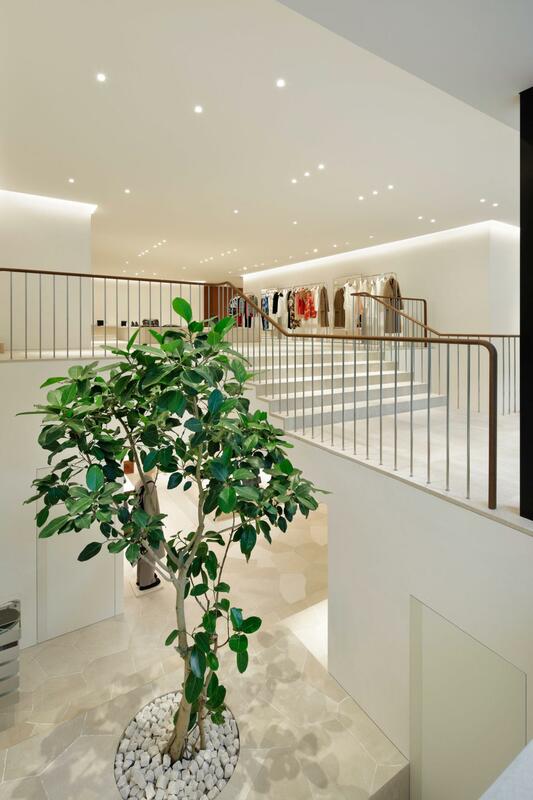 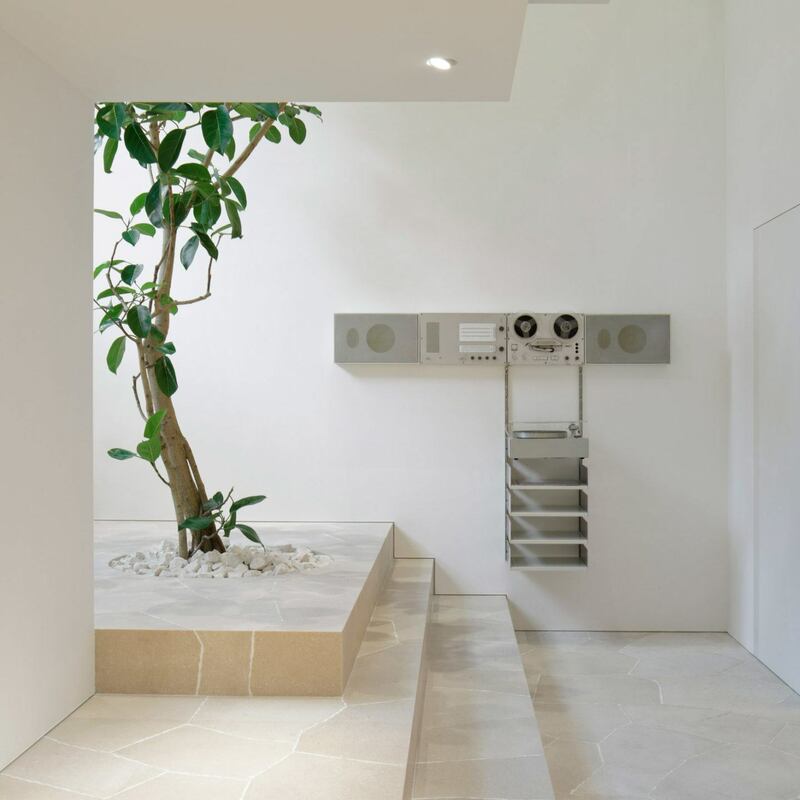 A single indoor banyan tree surrounded by white pebbles stands at the separation of the multi-level concept store, which opens to a short flight of stairs. 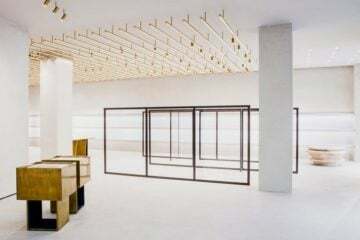 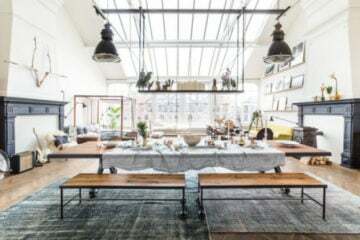 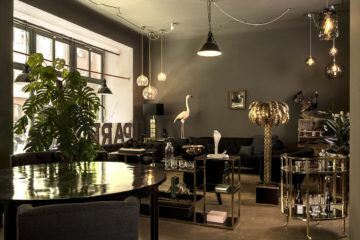 Upon entering, customers are lead up these stairs to the top floor display area which showcases the accessories and garments on stainless steel racks.